Spare Me Days from the Brad Hewitt stable is one of two locally trained horses engaged in Monday afternoon’s Goulburn Soldiers Club Frank & Edna Day Goulburn Cup. Runner up in the 2016 edition of the cup behind the Dennis Picker trained Condagen, Spare Me Days will be joined by David Hewitt’s Stanley Ross Robyn in an attempt to make it a home town win. The $31,800 Group 3 feature race is scheduled as race 7 on an 8 race program and has brought together a very even field of fast class pacers. With no standout horses engaged, Spare Me Days looks to have his best chance yet to capture the cup. “It isn’t the strongest Goulburn Cup so he’s a definite chance to win” said trainer Brad Hewitt. Stable mate Stanley Ross Robyn has been a model of consistency since resuming in early December and the 6 year old will be at his top in Monday’s race. Trained by David Hewitt, Stanley Ross Robyn was a close up fourth in the Walla Walla Stakes after working hard to find the lead early in the event. Both of the Hewitt runners have drawn well with Stanley Ross Robyn in gate 3, and Spare Me Days starting alongside in gate 4 following the scratching of the emergency Hollys Miss Molly. While the draws will help the locals, the pair will find strong opposition from the visiting contingent including Inter Dominion campaigner Conviction, the James Rattray performer Pachacuti, and the inform James Dean and Lets Katchmeifucan. 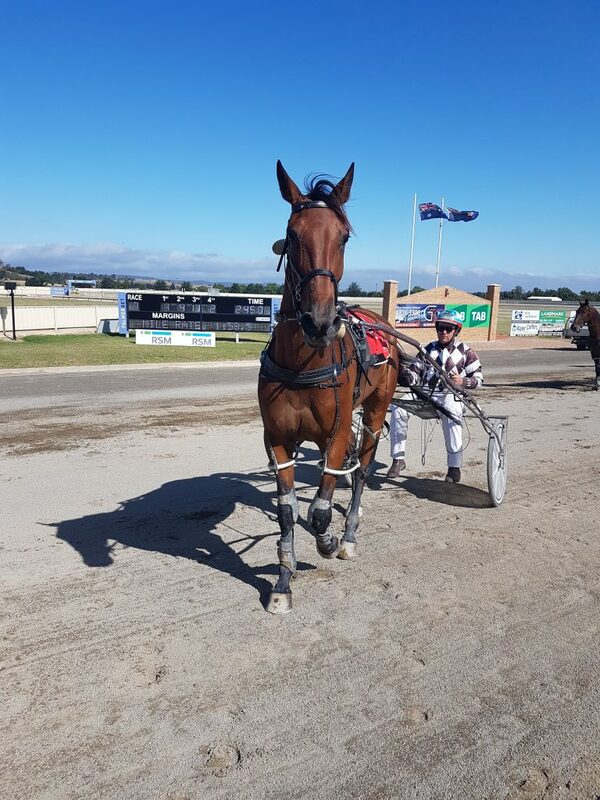 The afternoon also plays host to the $19,080 Hollingworth Crane Hire Service Goulburn Rose, and the Sun Solutions Goulburn Mulwaree Sprint, so an exciting afternoon of harness racing and entertainment is on offer. The Goulburn Club encourages all to make their way to the Goulburn Paceway Monday afternoon to enjoy the talents Goulburn’s own Jamie Agius who will between races throughout the afternoon, mini trotting action, and the display of vintage trucks organized by Convoy For Kids Goulburn charity. “We encourage all to come out to enjoy the day, but to also support the Convoy For Kids Goulburn charity who will collect the $10 entry fee” said club secretary Mark Croatto. Each year the Goulburn Harness Racing Club gets behind a worthwhile cause as part of its charitable purpose. Having supported Goulburn High School and the Goulburn District Hospital in previous years, this season the club committee selected Convoy For Kids to support. “The charity supports local children who are afflicted by cancer, terminal illness, or permanent disabilities; it’s a very important and worthwhile cause, and every cent paid at the gate will be retained by the charity” said Croatto. The afternoon will also have much entertainment for children, and the on-course raffle carries as first prize a 2019 Canberra Raiders jersey which is signed by the whole squad. With the harness racing action scheduled to commence at 1.03 pm the club’s committee also invites harness fans to come out and experience the wonderful facilities of the Grace Millson Centre. Enjoy quality food and a wide range of cold alcoholic and soft drinks whilst watching all the racing action in comfort. Goulburn harness racing is brought to fans by the kind support of Tabcorp, Goulburn Soldiers Club, Hollingworth Crane Hire Service, Randwick Equine Centre, Southern Highlands Equine Centre, Sun Solutions Goulburn, Semco Equipment Sales, RSM Accountants, and a host of smaller businesses including Top Water Carters Crookwell, First National Real Estate Goulburn, Goulburn Livestock Transport, Landmark Southern Livestock Agenices , J A Communications, Crust Gourmet Pizza, Glen Mia ACT Saddlery and Ranvet.